Aliens (whether they exist or not) fascinate me. It must be because I grew up with Agent Mulder and Agent Scully in my hormone-abundant teenage years. Then again, it must be watching Sigourney Weaver kick alien butts or my fascination with the paranormal. I have to admit though that I rarely read a book with aliens, let alone a book with an alien narrator who was sent on a mission to destroy information and human beings. 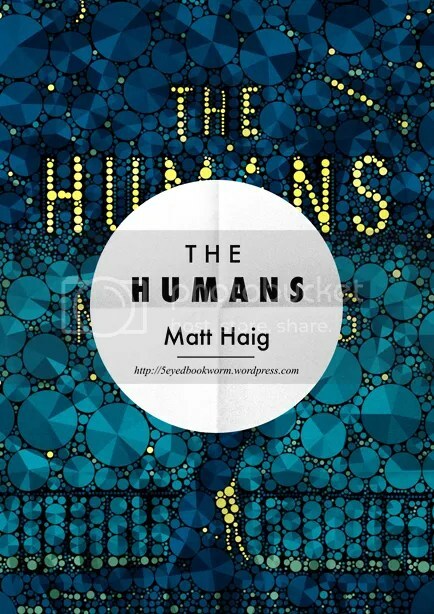 “The Humans” by Matt Haig is infused with humor and thoughtful observations. This book blasts you (thankfully, not with alien blasters) with the paradoxes of human nature, the appreciation of love (however confusing it is), and most importantly the genius of peanut butter. Throughout the book I couldn’t help but agree with this body-snatching alien when it comes to his insights. Professor Andrew Martin (aka the alien) discovers so much of the human species that while it left him puzzled, he couldn’t help but appreciate the complexities of human nature, beef, laughter, clothing etiquette, Emily Dickinson, David Bowie and Cinema Paradiso. He found our ways (our human ways) strange and somehow inconsistent. Not to mention his exposure to expletives. The human species he encountered in the beginning of the book were generous with it too. Did I mention this alien read Cosmopolitan to partially get a gist of what our language is? Now if you ever read Cosmopolitan, I’m sure there’s more to learn from there aside from language. He (or it) even called a MacBook Pro “primitive”! Holy mother of Apple computers! Now, of course, we all know this isn’t so but for the Vonnadorians, our technology is a sorry-excuse for… well, technology. And I thought all those touch-screen phones and apps were fancy. What struck me most is the alien’s realization that advance technology, immortality, time travel and the absence of pain are absolutely nothing compared to living as a human. So many of us would like to have all these regrets, worries, suffering and anxieties disappear in an instant, but here is a non-human life form that is willing to live a life despite all of these! Isn’t it amazing? We can be blinded by patterns, familiarity and recurrences but we must always appreciate the little things and never take them for granted. It is these little, somewhat irrelevant things, when gone, that affect us the most. The book shows this in various ways. Dogs are indeed man’s best friend. Even aliens would agree. The realization that we are living a life of paradox, constant riddles and contradictions. Mathematical or otherwise. There is never too much of Emily Dickinson. I’m human and I’ve never even read a line from any of her poems! Who’s the alien now? The author wrote: “Walt Whitman knows grass, but Emily Dickinson knows everything.”Ha! Don’t you just love Matt Haig? A chapter of the book was dedicated to us humans so that we may receive some advice. Reading advice from an alien might sound weird but what the heck, this alien seems rather wise for an alien in humanoid form. And besides, it came in peace.By the way, Advice #79 didn’t surprise me at all. You might also want to check out this video wherein Matt Haig asked his readers to pick out their favorite advice and read it: http://youtu.be/zX8V2OFHHbQ . I can’t tell you how much I enjoyed reading this book. This book made me wish that housework was something of alien-origin and humans wouldn’t have the brains or capacity to accomplish it. I wanted to finish this book the day I started reading but I just couldn’t. Damn those dusty floors and dirty dishes! This book made me laugh and made me cry. This book is just oozing with so much paradox and humor, I think I’m going to read it again in the future. Highly recommended, fellow human-beings. This book won my primitive, exponentially emotional human heart. No hypnosis needed to get yourself a copy. We humans are silly sometimes, aren’t we? Greeting another life form with expletives? No wonder aliens call us primitive! 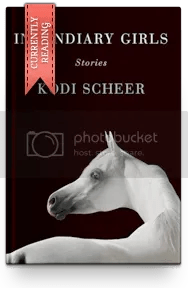 Categories: 2013 Reads, Book Reviews, Favorite Books | Tags: emily dickinson, favorite books, Great Books, matt haig, Professor Andrew Martin, Recommended Books, the humans | Permalink.